When did capitalism and making money become bad things? Where do you draw the line between making a living and greed? Can you work on Wall Street without selling your soul? Is it possible there are more decent people working on Wall Street than there are wolves? In this book, Curtin challenges the established narrative of self-interest and greed that has informed so much of the coverage around Wall Street, and sets out an optimistic and positive vision for the future of America's financial heart. 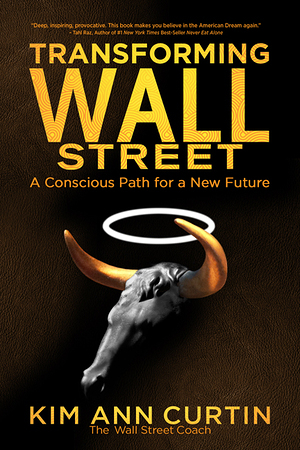 This book combines fresh insight, intelligence, and experience from fifty leading Wall Street luminaries, a panel of academic experts, and a wide-ranging group of Teachers of Consciousness - offering an eye-opening and soul-inspiring insight into the way that conscious capitalism is transforming America's financial industry. Whether you're avidly capitalistic, angry at Wall Street, or simply seeking to balance wealth with meaning, Transforming Wall Street provides a roadmap to a more conscious existence. And with supporting evidence from The Wall Street 50, you'll see that integrity really does breed success.